So I’ve neglected the blog awhile. Going to try updating again, semi-regularly. Last Christmas I got ambitious and made knitted presents for everyone in my family. 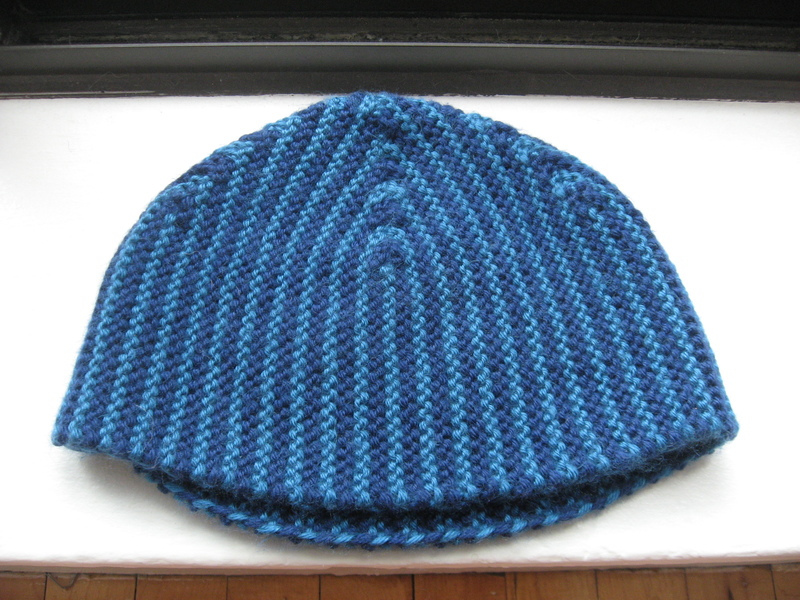 My brother received these striped short-row hats that I made from the “Tychus” pattern on knitty.com. 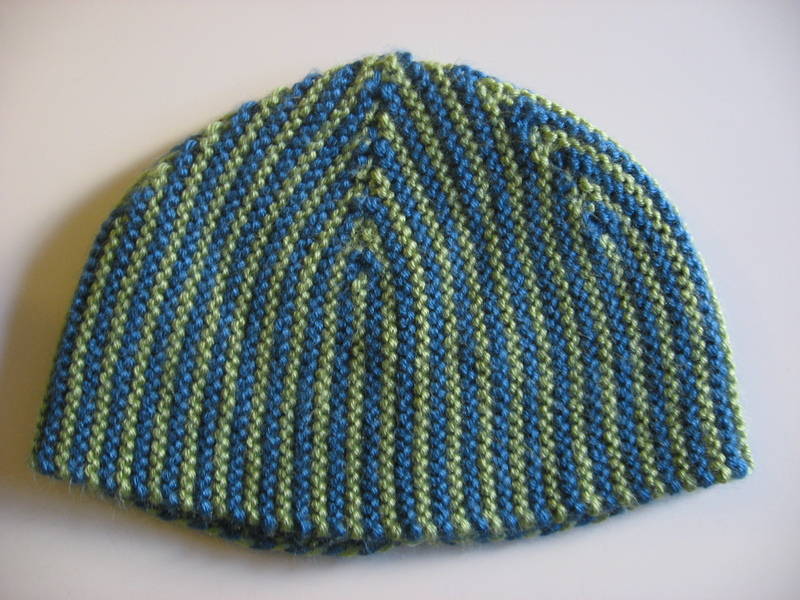 They require double strands of each color, but are a great way to use up leftover yarn. The only problem is that they are definitely made for someone with a larger head, and they don’t have much elasticity. Very warm though, and quite striking.